Recreating your own funky sand faces illusion is pretty easy too. 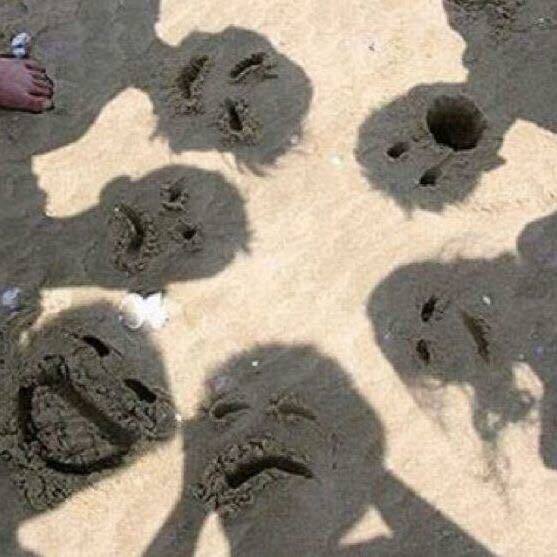 Just draw some faces in the sand and position your bodies over them, so your heads’ shadows fall on them. Bam! Instant creepy and weird faces! And, a pretty awesome photo! We’re planning a trip to the beach this summer, and I’m definitely thinking about trying this out. Anyone else? If you liked this funky faces illusion, be sure to check out this shadow with eyes too!